Amazon is very serious about Bosch, its Titus Welliver-starring police procedural, but it’s concerned that you don’t appreciate just how serious it is. Remember how people were really into the very existence of bacon a few years ago? That’s how Amazon feels about Bosch. 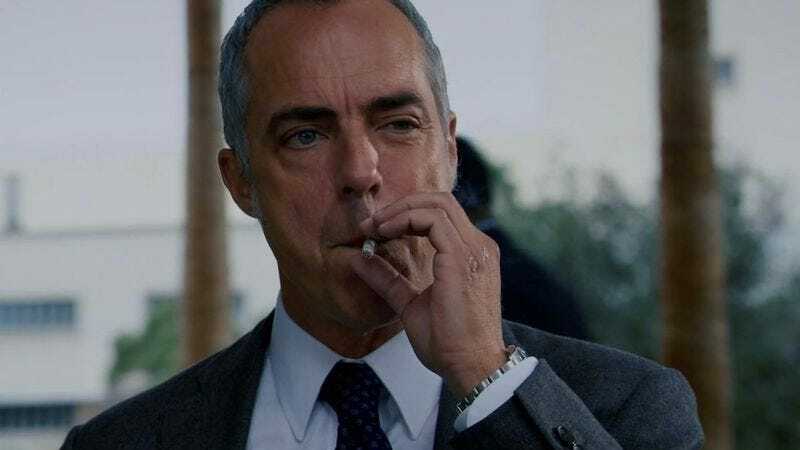 If it had a physical body, it would wear Bosch t-shirts, get a Titus Welliver tattoo, and constantly compare things to Bosch episodes in regular conversation. Unfortunately, Amazon doesn’t have a physical body, so it must show its love for Bosch in a different way. Today, that way is by renewing the show for a fourth season before the third season even has a proper premiere date. In fact, Amazon just picked the show up for a third season back in April, so maybe production of those new episodes is going incredibly well and Amazon wants to ride that wave as long as it can. Whatever’s going on, please stop doubting Amazon’s commitment to Bosch. It is very dedicated to Bosch.